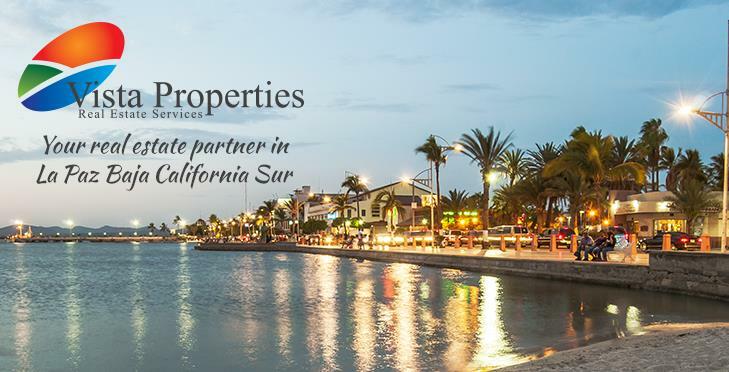 Vista Properties is a full service team of La Paz real estate agents with years of experience buying and selling homes in La Paz, Baja California Sur. Whether your dream is to buy a vacation condo in Baja, a beachfront bungalow on the Sea of Cortez, or to retire full time in Mexico, we can help you live your dream. Browse the listings on this site, or contact us today at info@vistapropertieslapaz.com. At Vista Properties, we are more than La Paz real estate agents. We are also expats from the US and Canada who made the move to La Paz and now live here full time. We love sharing our experiences and our passion for the La Paz, Mexico lifestyle. We don’t just show you homes; we show you the differences between La Paz area neighborhoods, answer your questions about what it takes to buy a home here, and give you insider tips on the things to do and see in La Paz. Read more about our team here. Just 1 hour from La Paz, this beautiful home has a front row seat on the Pacific Ocean. Swimmable beach, great for fishing and all water sports, tranquil and private. Will I Need to Speak Spanish in La Paz?